Does Nicotine Make Pain Better? Surprisingly, the answer can be yes. Your body actually has receptors that respond to nicotine throughout the central and peripheral nervous system. This, however, is a good thing and a bad thing. It is good because stimulation of these receptors (through a complex process) ultimately results in the release of various neurotransmitters that reduce pain. It is a bad thing because the introduction of nicotine (which is not a naturally occurring substance in the body) can alter the normal functioning of this process. Stimulation of receptors in specific parts of the brain will result in the release of a neurotransmitter called dopamine. Dopamine is linked to the body’s natural reward and pain relief system. Nicotine results in the release of endorphins, which is your body’s version of opioids. Nicotine causes an increase in adrenal function (epinephrine, norepinephrine), which results in increased arousal and a decrease in pain perception. 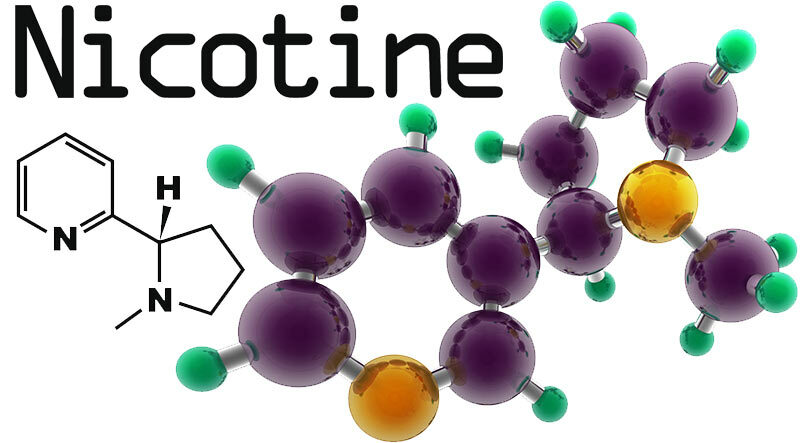 Nicotine also results in the release of other neurotransmitters associated with mood and the reward system, such as serotonin. Hence the reason why nicotine is so physically and psychologically addictive. So, if nicotine stimulates a natural pain relief pathway, why do smokers still have pain? Why is smoking actually associated with worse pain? Just like anything in life, too much of a good thing can be bad. Similar to street drugs and prescription pain medications, when the body is exposed to nicotine on a constant basis, it becomes dependent on the chemical and tolerance develops. This results in dysfunction of the pathway, to the point where it may no longer result in any benefit, no matter how much is used. Over stimulation of the system can also result in a paradoxical hypersensitivity to pain, just like what occurs with the prolonged use of opioid medications. The truth is smokers are more likely to have chronic pain than non-smokers. Is this because those with chronic pain are more likely to start/increase their smoking in effort to control their symptoms? Possibly. However, studies have shown that smoking directly contributes to heart disease, peripheral vascular disease, decreased oxygen in the blood/tissues, nerve damage, accelerated degeneration of the discs in the spine, impaired and delayed wound healing, prolonged recovery from injury and surgery, osteoporosis, osteoarthritis, and fractures (amongst other issues). These conditions all can result in chronic pain. Decreasing the body’s ability to repair itself following an injury will also worsen any underlying pain. In addition, as noted above, excessive use of nicotine alters the body’s natural reward and pain relief system, thereby interfering with its attempts to control the pain. So, then, what about other forms of nicotine? The same thing applies. Any introduction of nicotine (such as through e-cigarettes, topical patches, chew, gum, etc.) can alter the normal functioning of this process, not just smoking. The take home message: If you decide to use nicotine, realize this a choice you make which will alter part of the body’s natural pain relief and reward system. By doing so, you may be setting yourself up for problems later on which may directly lead to you suffering from chronic pain. Bad choices sometime have bad consequences. I find this interesting as I have a chronic condition, fibromyalgia. My question is though, which would be perceived as being the better option for pain relief, nicotine or tramadol? We would never recommend nicotine. As in many other drugs, it is highly addictive and changes your body’s responses to stimuli. Tramadol is a fine short acting pain reliever but also comes with many side effects. We prefer natural means of pain relief such as rest, ice and exercise. For example, please check out the Yoga article from last week.